The ignominious rout of a British force at the battle of Majuba on 27 February 1881 and the death of its commander, Major General Sir George Pomeroy-Colley, was the culminating British disaster in the humiliating Transvaal campaign of 1880-1881 in South Africa. For the victorious Boers who were rebelling against the British annexation of their republic in 1877, Majuba became the symbol of Afrikaner resistance against British imperialism. On the flip side, Majuba gave the late Victorian British army its first staggering experience of modern warfare and signalled the need for it to reassess its training and tactics. 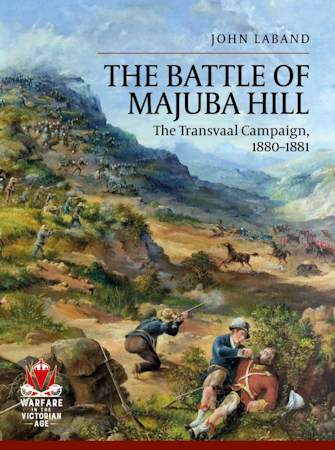 Based on both British and Boer archival and contemporary sources, this balanced and fresh appraisal of Majuba situates it in the closely interlocked operational and political contexts of the Transvaal campaign. It analyses the contrasting military organizations and cultures of the two sides and clarifies how a Boer citizen militia with no formal training, but that handled modern small arms with lethal effect and expertly employed fire and movement tactics, was able to defeat professional but hidebound British soldiers. The book explains how a British field commander, such as Colley, already subject to the factional politics of command, also found his conduct of military operations subject to the close supervision of his superiors in London at the other end of the telegraph wire. His strategic objective was to break through the Boer positions holding the passes between the colony of Natal and Transvaal and to relieve the scattered British garrisons blockaded by the Boers. However, his defeats at Laing's Nek on 28 January and at Ingogo on 8 February alarmed the British government already concerned that the war was stirring up dangerous anti-British Afrikaner nationalism across South Africa. It instructed Colley to cease operations and open peace negations with the Boers. But the general, a highly talented staff officer holding his first independent command, was determined to retrieve his tattered military reputation. He side-stepped his orders and, in an attempt to outflank the Boer positions and win the war at a stroke, seized Majuba with disastrous consequences. Although British reinforcements were now pouring in and the suppression of the Boer rebellion still seemed feasible, Majuba was the last straw for the British government. To the disgust of the military who burned to expunge the shame of Majuba with a resounding victory, the politicians insisted on restoring the Transvaal Boers their independence.